This MOMO steering wheel boss kit is compatible with the Renault 20 manufactured from 1980 onward. 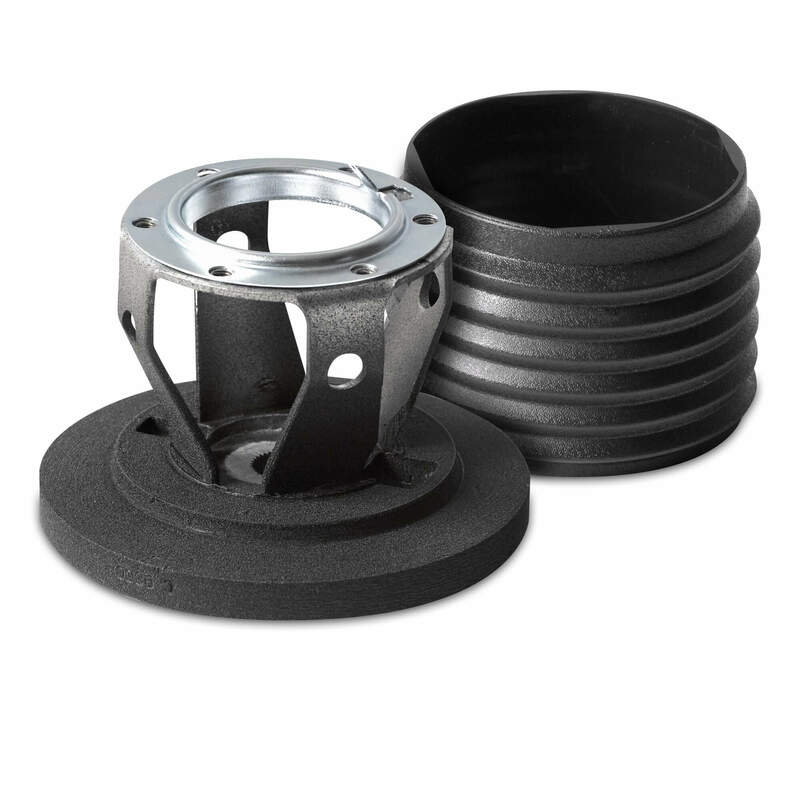 A hub / boss kit is an essential component to your vehicle, used during the fitment of an aftermarket steering wheel. MOMO is the company that invented and market-launched the first collapsible steering wheel hub that we use today. Compared to a rigid hub, a collapsible hub is able to absorb outstanding impacts thanks to a programmed deformation, thus dramatically increasing the safety level in case of a collision. With the largest hub kit application catalogue in the industry, offering fitments for hundreds of different vehicles, why look any further for your hub kit than the pioneering MOMO range. Please note that the image used for this product is for representational purposes only and the actual appearance of the product may vary.